Mark Bagley Ultimate Spider-Man yet again! Love his take on Ultimate Venom. Stop by tomorrow night for number #88 in the count-down of my Top 100 favorite covers. This is another one that’s well-drawn, but feels a bit standard. It doesn’t really grab my attention. I do like the way Venom’s holding the logo, though. I’m not a fan of the Ultimate Spider-Man covers in general but this one was a great one! It’s just sad that the colors weren’t much more darker… It would have been awesome. 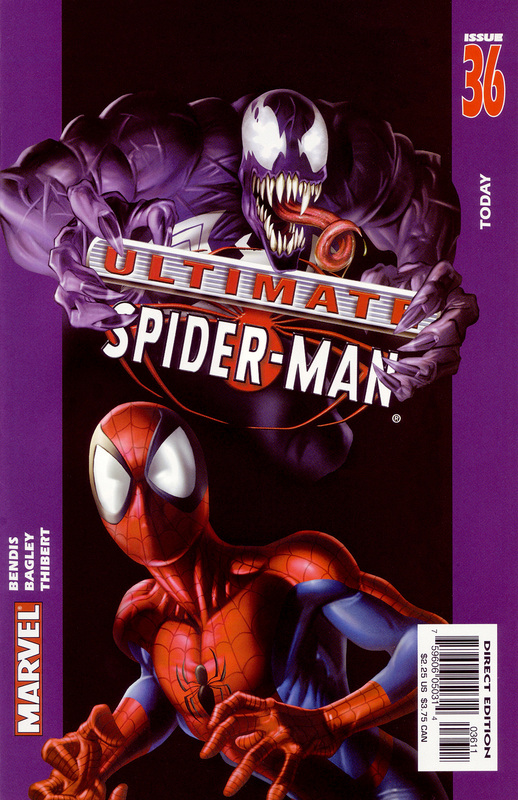 I see a lot of covers in your top 100 of the USM serie and I don’t understand how the issue #111 is not ranked in it. It’s for me the best USM (vol.1) cover!